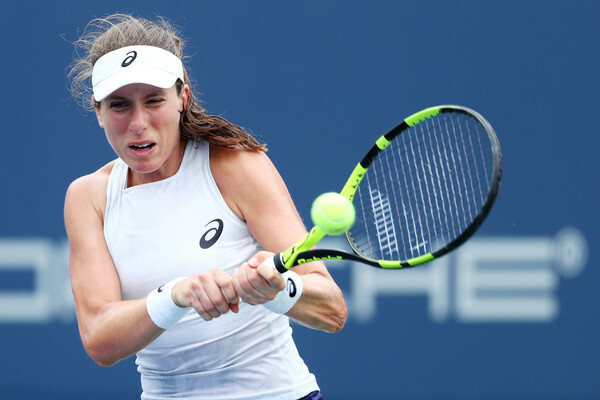 Former world number four Johanna Konta faces current world number five Caroline Garcia as both players look to regain their confidence and form with a first-round win at the US Open. Former world number four Johanna Konta and current world number five Caroline Garcia will take the Grandstand court on Tuesday as they were drawn to face one another in a blockbuster opening-round clash at the 2018 US Open. This will be their sixth meeting overall, and the winner of this highly-anticipated encounter will have the golden opportunity to mount a deep run into the second week. It has been more than a year since their last meeting at Wimbledon, but both players’ fortunes changed drastically after their meeting. After Wimbledon, Konta was ranked at a career-high ranking of four, while Garcia saw herself breaking the top-20 for the first time in her career. Konta, who ultimately reached the semifinals, soon went on a five-match losing streak to end the year while Garcia claimed consecutive titles in China to qualify for the WTA Finals. Who would have expected for the Frenchwoman to be ranked higher than the Brit at the end of 2017? A tough year saw Konta drop out of the top-10 and currently finds herself ranked 46th. She owns a decent 24-18 win-loss record in 2018 although she managed to reach just three quarterfinals. Her best result this year came on grass when she made the final of the Nature Valley Open although her most impressive win was a 6-1, 6-0 win over 23-time Major champion Serena Williams in a blockbuster opening-round match at the Mubadala Silicon Valley Classic, winning 12 consecutive games to kickstart her US Open Series campaign in the perfect way. Konta has struggled with her tough draws, having been 0-7 against the elite batch throughout the year. Her biggest win in terms of ranking came against the 11th-ranked Jelena Ostapenko in the opening round of the Rogers Cup, while she has shown some resurgence in her game after defeating Victoria Azarenka in the same tournament as well. She withdrew from her second-round match at the Connecticut Open due to a viral illness, but it should not affect her chances of participating in New York. Konta made consecutive second-week appearances in New York in 2015 and 2016, defeating former top-10 stars Belinda Bencic and Garbine Muguruza in the process. It has been a relatively strange year for Garcia, with her results not being too impressive but yet not too bad either. She managed to make eight quarterfinal appearances while also securing herself the 13th spot in the Porsche Race to Singapore leaderboard. Her best results this year came on clay, but she also owns a mainstream 13-10 (0.565) win-loss record on hard courts. She is 2-7 against the top-10 players this year and earned just three top-20 wins throughout the entire year. Coincidentally, all of those aforementioned victories came on clay and her best win on hard-courts this year (by ranking) came against Maria Sharapova, the world number 22, in the third round of the Rogers Cup. Garcia’s best result at the US Open was a third-round finish last year when she fell to the resurgent Petra Kvitova in her Arthur Ashe Stadium debut match. However, she also suffered opening-round exits on two previous occasions. 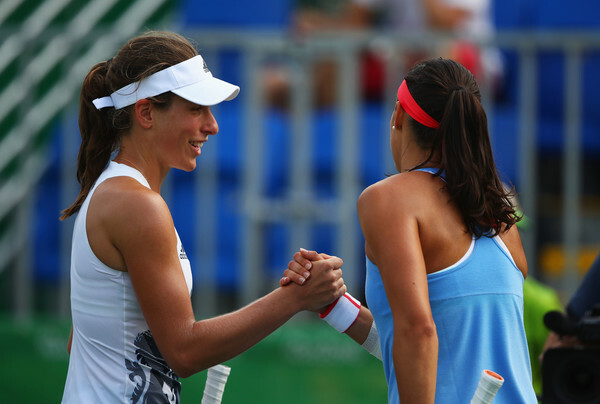 Konta leads Garcia 3-2 in their head-to-head and the Frenchwoman would be looking to level the record on Tuesday. The Brit used to have it easy against Garcia on hard-courts back in 2016 but their clashes last year proved to be thrilling ones. The current world number five triumphed in Indian Wells while Konta, being the home favourite, exacted revenge at Wimbledon. This will be the first time in their six meetings that Garcia will be higher ranked than Konta. Both players adopt an aggressive playing style, although it is Garcia who has more variety in her game. Consistency will play a relatively huge part in this match-up as neither could afford to be erratic and wobbly off the baseline. Garcia, being a former world number two in doubles, is relatively solid at the net while Konta’s ability to clean the lines with her groundstrokes is immense. This will be an intriguing opening-round clash scheduled third on Grandstand court. Both players are struggling to find their form but Garcia, being the sixth seed in the tournament, will have extra pressure weighed on her shoulders and that will give the unheralded Konta the mental edge in this encounter. The upset alert is definitely turned on, and Konta can definitely take the advantage to mount a deep run.